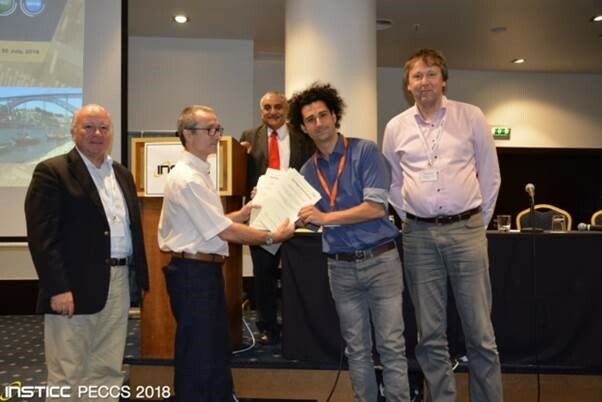 PRiME’s work on the Framework was presented at the 2018 International Conference on Pervasive and Embedded Computing (PEC 2018), held on July 29-30 in Porto, Portugal http://www.pec.peccs.org/ and was honoured to receive the prestigious Best Paper Award. PRiME researchers at University of Southampton, have developed a tool for application and platform agnostic runtime management that enables portability of runtime management approaches. The tool is called the PRiME Framework – which is available as an open-source release via the PRiME web page. Click Here to download the tool. Heterogeneous multiprocessor systems have increased in complexity to provide both high performance and energy efficiency for a diverse range of applications. This motivates the need for a standard framework that enables the management, at runtime, of software applications executing on these processors. This paper proposes the first fully application and platform-agnostic framework for runtime management approaches that control and optimise software applications and hardware resources. Dr Domenico Balsamo receives the Best Paper Award presented by the programme chair of the conference, Dr Luis Gomes. Graeme M. Bragg, Charles Leech, Domenico Balsamo, James J. Davis, Eduardo Wachter, Geoff V. Merrett, George A. Constantinides and Bashir M. Al-Hashimi work was presented in the paper entitled An Application-and Platform-agnostic Runtime Management Framework for Multicore Systems The authors were delighted that their work won the Best Paper Award. Copyright © 2013-2019 PRiME. All rights reserved. Site designed & built by Rareloop.